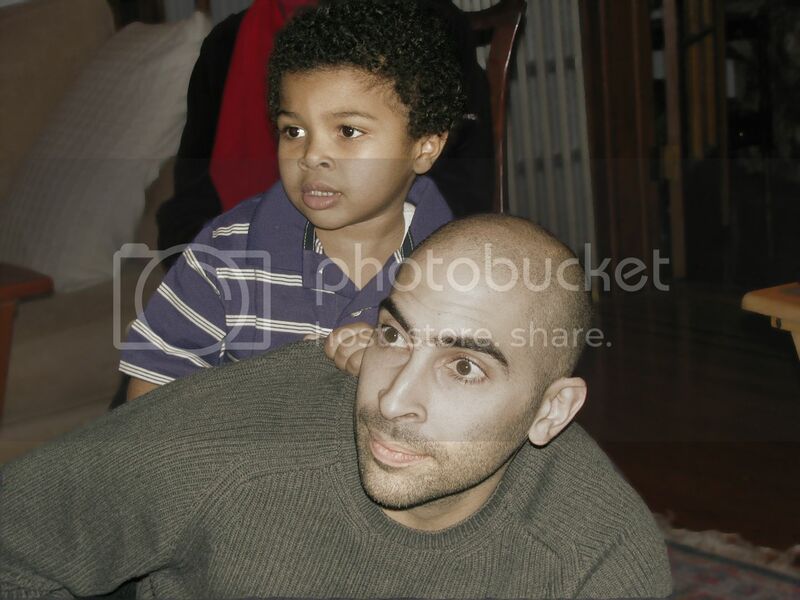 Here are my nephew and grand-nephew, father and son, watching the Superbowl a couple of Sundays ago. I photo-edited in half sepia which as you can see keeps some of the color while sepia-izing the rest. I also used a black halo as a kind of frame. Mr. Linky is below for you. 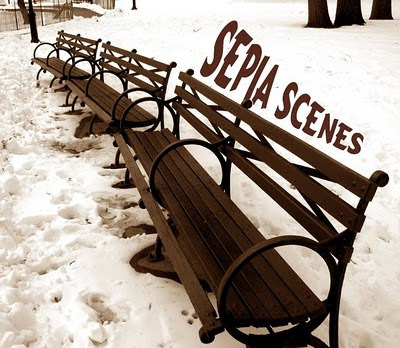 Leave a comment if you like but try real hard to visit your fellow Sepia Scenes posters. I thought this bright yellow zinnia looked attractive in sepia. Hi Mary - love your images - gorgeous "boys"!!!! Two lovely guys perfect in half-sepia! Like father, like son. Dad is totally into the game, the little guy is impressed because dad is. They apear to be of one mind here! Love the father/son photo - esp. their expressions. Such a handsome duo. Very nice on the flower. I get so stuck on the color that I forget the beauty of the shape. BTW - I posted the photo of Rye HS, on my MostlyLACounty blog. The structure will look very familiar to you. Nice shots Mary. I think the flower came out exceptionally well. Nice portrait of father and son, Mary. They do look engrossed in that game! 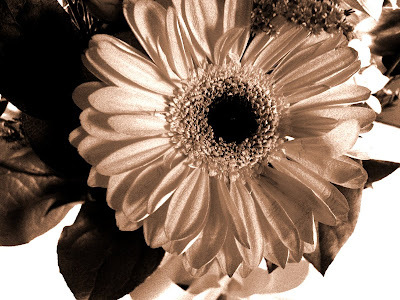 The flower looks pretty in sepia. they look very intent on the game. Nice editing job. Always love seeing your boys. And your zinnia is perfect in sepia! I have a bizarre dream story to go with my sepia kangaroo pic today, up at my blog. The kangaroo is a shot from my visit to the Lincoln Park Zoo in Chicago last year. I don't know why a mob of kangaroos was in my dream, but hope you enjoy the relaxing dude I shared for Sepia Scenes! Great photo. I like the way you framed it with the black. It makes the subjects really stand out. I love this, Mary! What a wonderful capture of the moment. This is my first time visiting your blog. I am just learning photography, so hopefully I can participate in Sepia Scenes soon. I absolutely love your quote by St. Augustine. Amazing!